Today, IBM Connections Mail gets an update. If you don't know what IBM Connections Mail, let's catch you up. 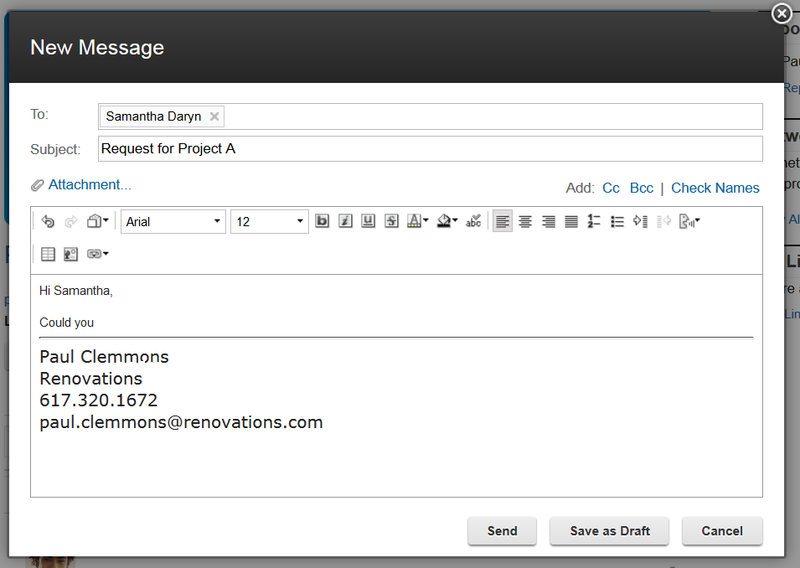 IBM Connections Mail provides a simple and compelling way to perform essential email and calendaring tasks right from IBM Connections. This is particularly useful as you can process your inbox with minimal context switching. According to McKinsey, when users switch from one task to another, it really affects productivity. Therefore, by keeping context switching to a minimum, you increase productivity in your organization. 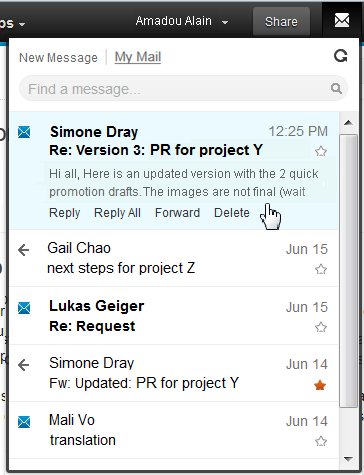 Additionally, sending attachments is a snap as they are sent as links via IBM Connections (a feature that our competitors have copied). Here's a demo that was recorded when this originally shipped. Go get it from our catalog using this direct link! Last month, I attended the IBM Connections User Group meeting in Prague. Speaking of which, if you missed it, then don't worry! Social Connections VII has been announced and it's happening in November 13-14 in Stockholm. Registration is available now so go and register now. Hey, you can probably even combine it with a weekend ski trip. Now back to Prague. While I was there, I met with the local team to discuss social business and my recommendations on how to make social business critical. For example, as a business, you don't want to deploy a social collaboration platform, such as the market leading IBM Connections product, just for the sake of social. You must have a purpose and I provide a strategy that can help you drive the engagement in the platform. What do you think ? Hey, and if you haven't noticed, you can go and check out IBM Connections 5.0 in Greenhouse today! This is one of those cases were timing couldn't have been better. Just a few days ago someone was asking me about the possibility to integrate Cisco's Jabber and WebEx with the market leading social collaboration platform IBM Connections. Anyway, then as I was catching up with my feeds I ran into a new presentation from Jabborate. Don't you just love it when knowledge comes to you instead of you having to go out and search for it? For more information, check out Jabborate for IBM Connections. If you've been out for a while, it's time to catch up. Additionally, I've been collecting news clippings about the stories and coverage so far on the IBM Connections 5.0 release. I haven't captured everything but here's some highlights for you to check out. Maybe there's some that you haven't seen so you can use these to share within your organization as well. As just communicated in the press release a few minutes ago, IBM Connections is now available in the IBM Cloud marketplace. Here's the direct link in case you want to check it out. The press release sums up the latest release of IBM Connections which is now available for download (in case you want to run it on premises) or in the cloud. One of the highlights that we want to call out is the continued growth that we see in our ecosystem. For example, using our latest APIs and SDK, ISVs (independent software vendors) such as HootSuite, Bunchball, TemboSocial, ISW, among many, many others have created social apps on the IBM Connections Platform. When a workforce is out of synch or out of touch, the whole organization suffers from lost productivity, efficiency and innovation. With the open nature of today's business environment, organizations are looking to build new systems of people-centric engagement. The ability to bring key internal and external stakeholders into the conversation can facilitate a more collaborative, responsive and authentic way to work and deepen engagement. For more information, check out the entire press release. And the great news keep piling up on the heels of the IBM Connections 5.0 rollout. The latest to hit the wire is that IBM Connections has been ranked as a Leader in the Aragon Research Globe for Enterprise Social Software. This is in addition to the Forrester Wave report where IBM came out as a leader in the Enterprise Social Software Wave a couple of weeks back and the news that IBM Connections continues to be the market leader in enterprise social software ! According to their announcement, the report evaluates 20 social collaboration vendors against 3 dimensions: Strategy, Performance, and Reach. Based on the evaluation of each vendor, each vendor is placed in 1 of 4 spheres: Leader, Innovator, Specialist or Contender. Again, IBM was ranked as a Leader. Aragon delivers high impact research and advisory services to provide enterprises the insight they need to help them make better technology and strategy decisions.